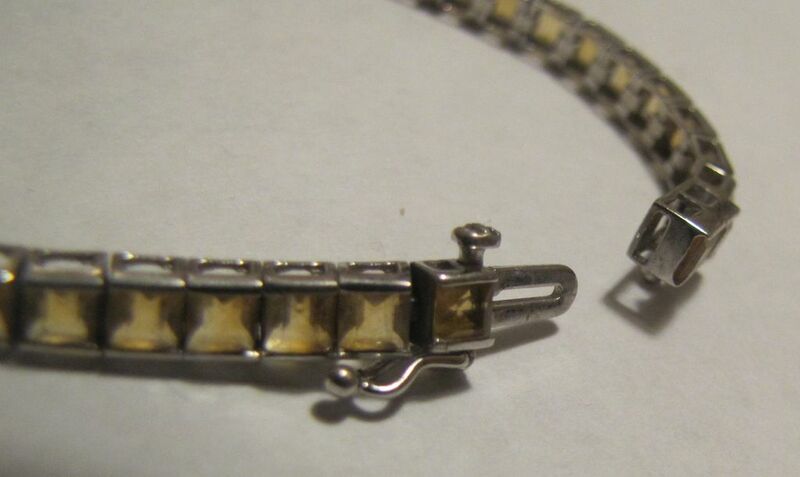 Vintage, solid 10K white gold citrine channel bracelet or tennis bracelet. The bracelet has a tongue and groove connecting clasp with a safety lock and has 56 cut, pale yellow, citrine stones in it. 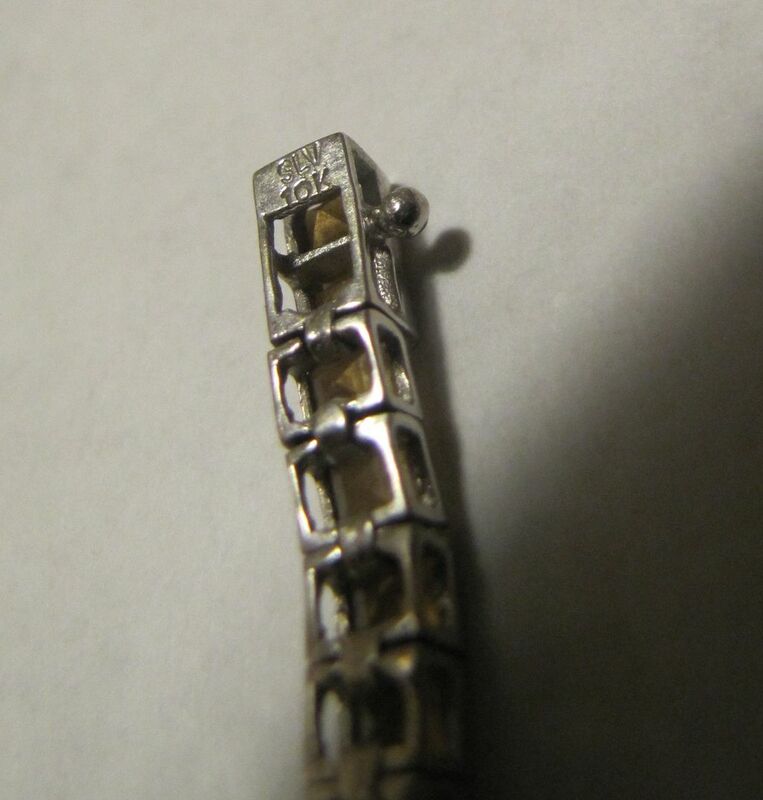 The clasp is marked 10K SLV. 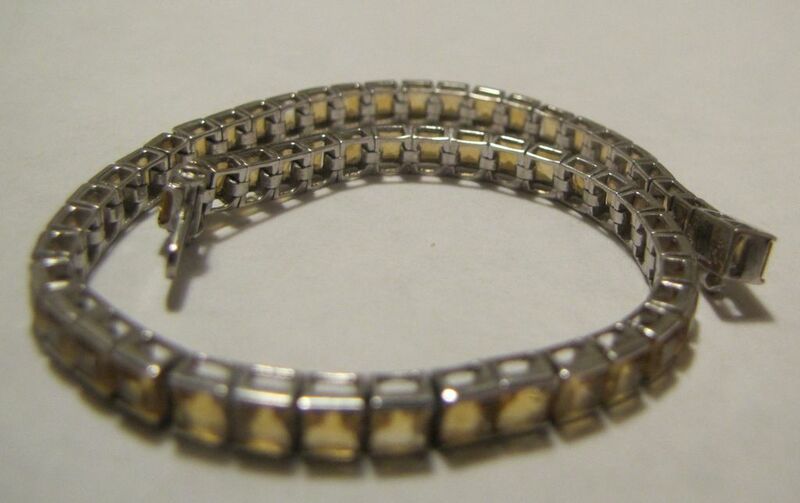 It has a channel design with the stones placed securely into the channels and measures a large 8"in length and weighs 8.7 grams. A well made piece in good condition.